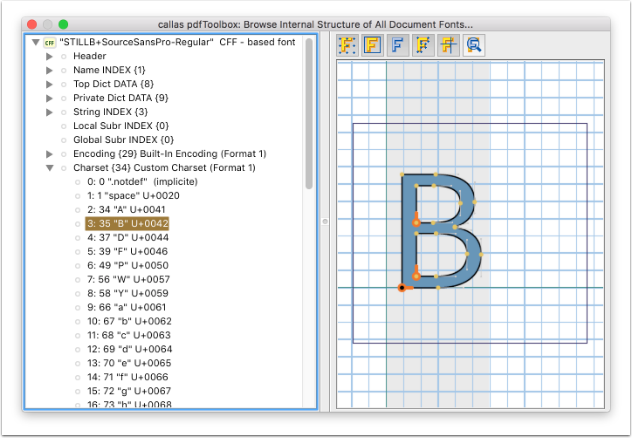 The "Explore Fonts" function gives you an insight into the internal font structure of PDF files. This is usually not needed for common use, but might be helpful if you encounter a damaged file or if you simply are interested in learning more about the internal font structure. 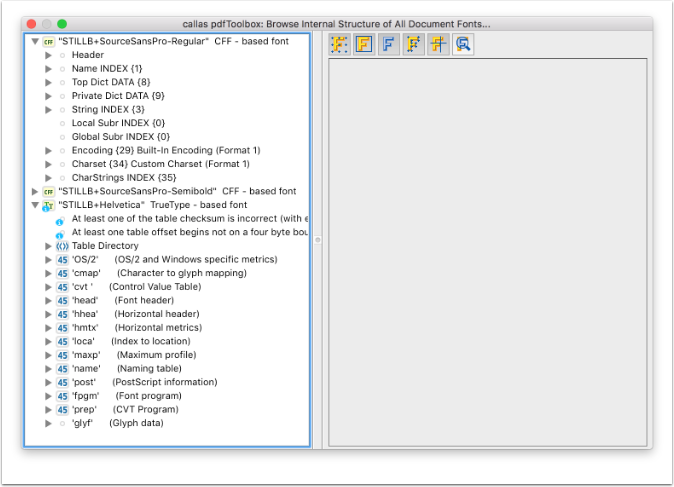 The entry "Explore Fonts..." can be found inside the "Plug-Ins" menu of Acrobat ("Miscellaneous") or the "Tools" menu in the Standalone version. 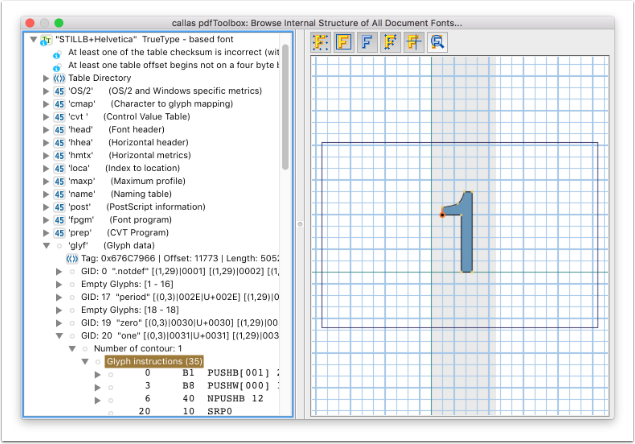 In the "Explore Fonts" dialog you will find information about e.g. font type and embedding state of all fonts present in the current document.